Over the weekend, Bob Nightengale of USA Today reported that the Giants are planning on offering Bryce Harper a “lucrative short-term deal,” after the two sides left a four-hour meeting with mutual interest last week. According to Jon Heyman, however, that’s not going to get it done. Heyman reports that Harper is not singing, or even considering short-term deals this offseason. That could throw a wrench in San Francisco’s bid to acquire Harper, as new VP of Baseball Operations Farhan Zaidi has shown little enthusiasm at the prospect of breaking the bank for one player this offseason, with so many holes on both the Giants’ big-league roster, and farm system. 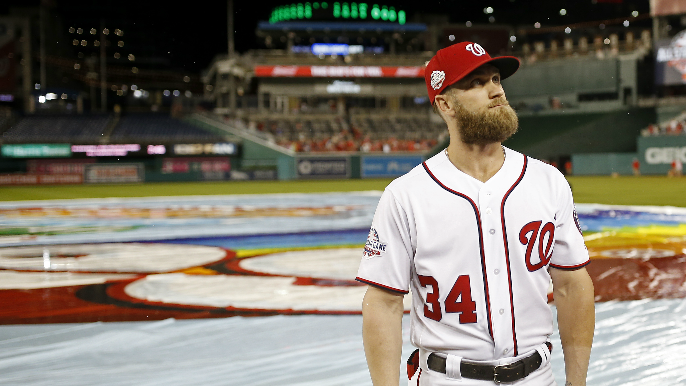 Harper reportedly turned down a $300 million, 10-year offer from the Nationals earlier this offseason.